September 19, 2018 at 9:36 am | Published in: Africa, Article, Middle East, Opinion, Sudan Link to web article. This week’s sentencing of one of the most powerful intelligence officers in Sudan has not only sent shockwaves through the ranks of the National Security and Intelligence Service (NISS) and civil servants, but is also set to open the floodgates for more corrupt officers and officials to be brought to justice. The seven-year custodial sentence and fine of seven million Sudanese pounds (£300,000) imposed on Abdul Ghaffar Al-Sheriff appears to be a clear signal that abuse of a public office for personal gain will no longer be tolerated. For many people, though, the punishment was not enough. Accounts of Al-Sheriff’s initial arrest are numerous but one source close to the intelligence services told me that he was lured to a meeting with the then newly-reappointed head of the NISS, Salah Abdullah, better known as “Gosh”, to discuss the work of his department and exchange pleasantries. The fifteen-minute meeting ended but as he walked out the door he was apprehended by agents who were waiting for him on Abdullah’s instructions. Al-Sheriff’s plea for an opportunity to visit his family before being locked up was ignored. He was marched away and held incommunicado for most of the time prior to sentencing. It is now expected that he will be transferred to Sudan’s federal prison in Koba. When the intelligence services raided Al-Sheriff’s home, he was found to have US$120,000 in cash and documentation for more than 100 tracts of land and real estate. He was charged with treason, bribery, ransom and corruption, money laundering, support for terrorism and other issues relating to national security. His role was to oversee the business sector of the security services. Al-Sheriff’s trial began in July at the Court of Intelligence and Security Service (CISS), but many of the charges were thrown out because it could only rule over whether he had abused or worked outside his sphere of authority. Furthermore, unlike civilian criminal courts, the court is unable to sentence anyone to more than ten years in prison. He has just 15 days to appeal against the sentence. 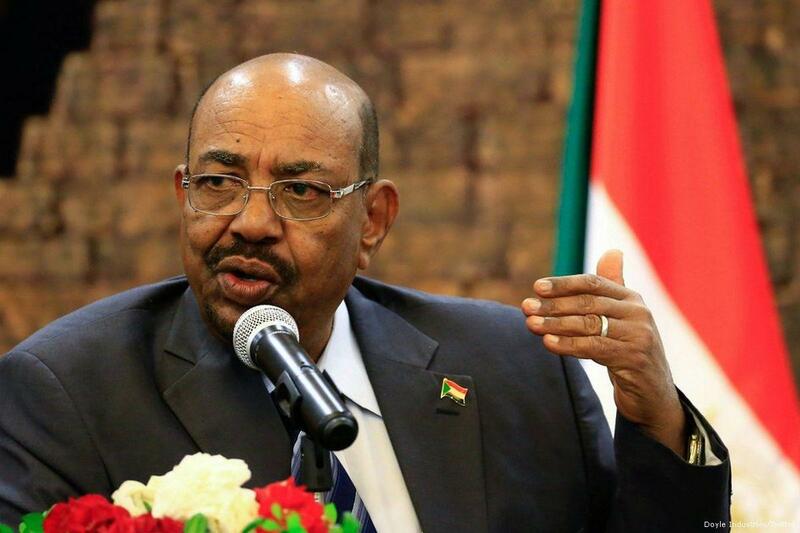 However, there was no mention of the security forces and few believed that the battlefront would begin within a service that has played a pivotal role in maintaining Sudan’s relative stability and protecting Al-Bashir’s 29-year rule. Al-Sheriff’s arrest represents the continuation of a huge purge within the NISS to oust corrupt practices. Sources say that at least 130 officers are currently being detained and investigated by their erstwhile colleagues. The identity and whereabouts of many others have not been released for various reasons, including “national security”. Much of the credit for the reform of the intelligence services is being given to Abdullah, who was reinstated as Director of NISS earlier this year. Immediate steps were taken to remove those associated with Al-Sheriff from office, not because they were thought to be corrupt, but because it was feared that they may not be fully supportive of Gosh’s return to power. More than seven high-ranking officers were removed or retired, including the Deputy Director of NISS, who was regarded as an ally of Al-Sheriff. As Sudan struggles to rebuild its economy, the suspicion of corruption remains in the minds of the public who believe that the wealth of the nation has been squandered over the years. Whatever the truth is, there now appears to be an expectation that criminals at the highest level of government will be rooted out. Clearly, with many investigations pending, more security officers will be indicted and sent to jail. It’s a move that could restore some public confidence in the Sudanese authorities, although it could also fuel a greater sense of frustration if the punishments are perceived as not severe enough.